The venerable Hong Kong Peak Tram is the only way to experience the beauty of natural wonders in Hong Kong. This is a historical funicular, in which tens of millions of people from all corners of the world would have scaled once. A funicular transports takes its passengers to the top of Victoria Peak, which is a natural respite from the city. 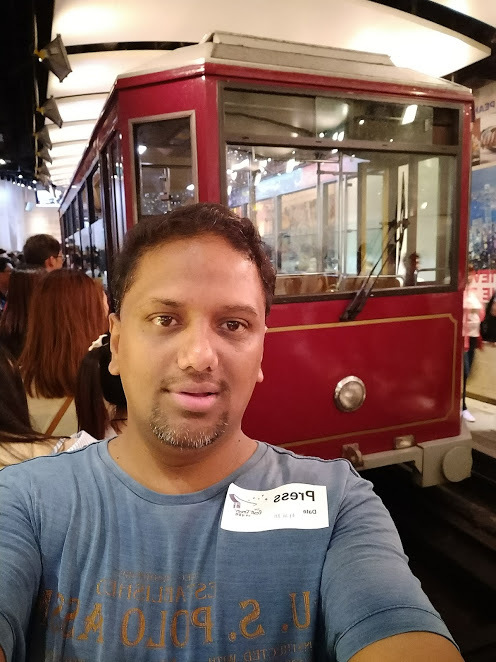 You cannot miss a ride on this tram with this steep angle since it is a fundamental experience in Hong Kong. The highest point of the island of Hong Kong has been the most exclusive neighborhood of the city since colonial times. Europeans sought cold air from the mountains to locate their residences, but access was not easy. And in May 1881, the Scottish Alexander Findlay Smith devised a plan to accelerate the development of new homes in the mountainous districts with a new tram system and thus was born Tramways Company and the Peak Tram. It is the first cable railway in Asia, which has 1,350 meters of the route and connects five stations. The tram service first started with coal in 1888 and got electrically powered in 1926. Today, more than 4 million people travel the tram every year including visitors and residents. 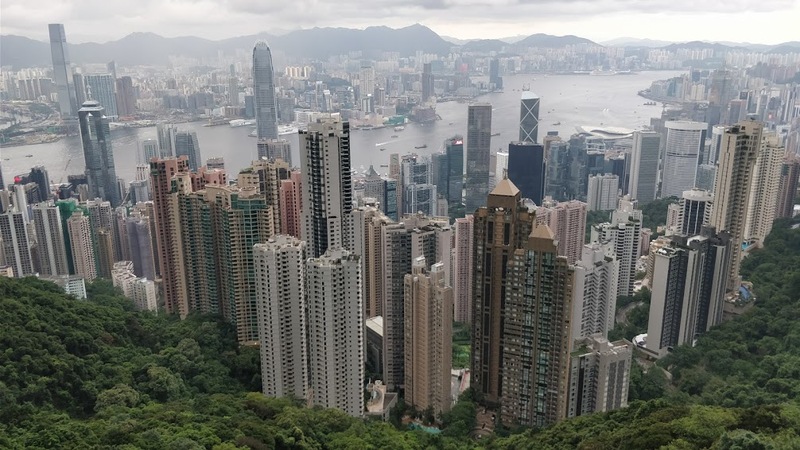 At the top, you will find the ultra-modern Peak Tower with its restaurants and observation deck Sky Terrace, where the surrounding nature walks to the top of Pico and the Garden of Victoria Peak. Traveling in Peak Tram is like experiencing a spectacular visual illusion. The skyscrapers of Hong Kong glide through your window in what appear to be questionable angles as you do it. This illusion is possible due to a fanciful change of the verticals that is due to the inclination to our reclining position in the interior. 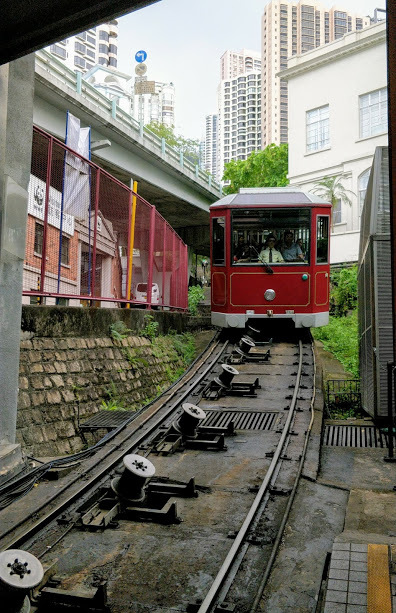 Currently, this funicular is still the steepest in the world and must-see in the city of Hong Kong because Peak tram is a symbol of the past and is part of the history. After climbing to the top of the mountain, you can not only thoroughly enjoy Victoria in Hong Kong but also the scenery on both sides of the port can also be visited at the Peak Tower Pavilion and taste different foods until the lights to enjoy Hong Kong’s charming night view. This cable car is a very convenient means of transportation. From Admiralty to the top of the hill, there are many delicious restaurants and Hong Kong scenery. From the top of the mountain, you can see the beauty of Hong Kong. 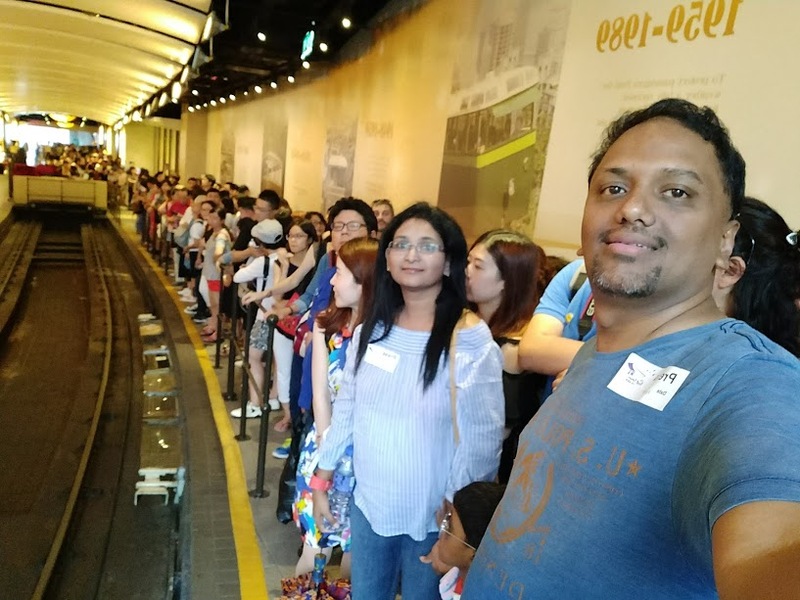 Peak Tram capacity is 120 passengers, and the journey lasts eight minutes, with stunning views of Hong Kong, Kowloon, and Victoria Harbor as the tram climbs. The Peak Tram operates from 7 a.m. to midnight, with departures every 10 or 15 minutes from the Baja Peak Tram Terminus on Garden Road in the center. Day or night, the ride is as exciting, although the night skyline is awe-inspiring. 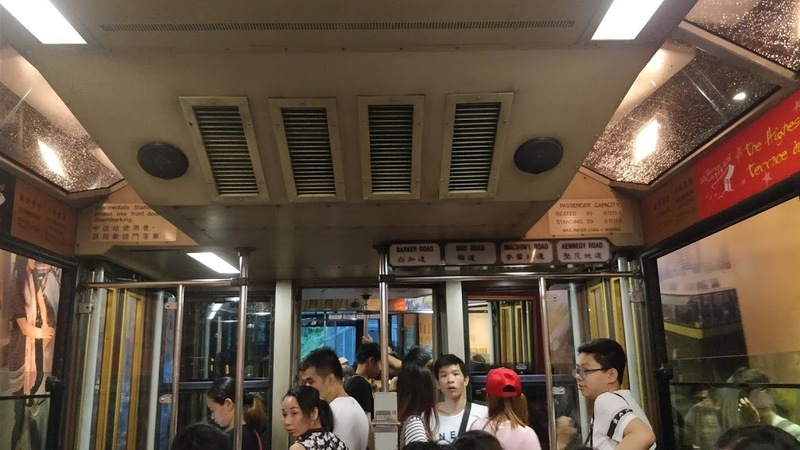 The lower station is located at St Johns on Garden Road very close to Hong Kong Park, the Citibank Tower and the Bank of China Tower and the upper station is within the Peak Tower. 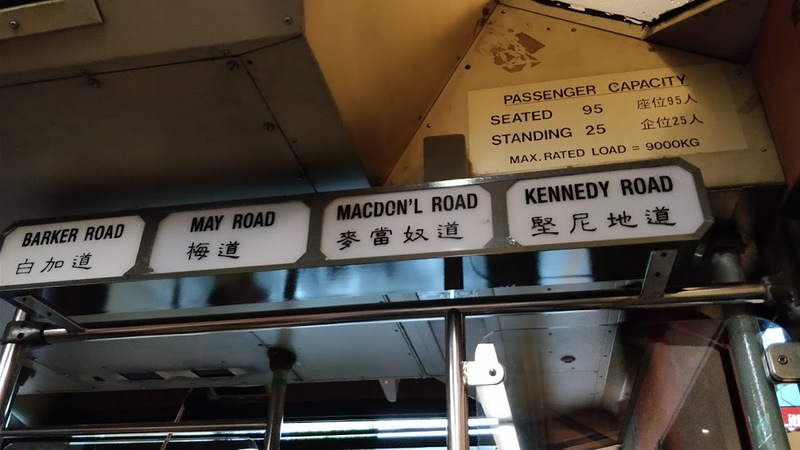 There are intermediate stations on Kennedy Road, Macdonnell Road, Mayo Road and Barker Road. Each of these stations is outfitted with a stop request system, although at peak times it may not be possible to board the intermediate stations since the funicular can be full. Throughout its history, the Peak Tram prevailed as one of the most visited and photographed monuments in Hong Kong. Also, there are other attractions such as the Gallery that displays more than 200 objects related to its tale, the Sky Terrace 428, an observation platform that is the highest in Hong Kong. 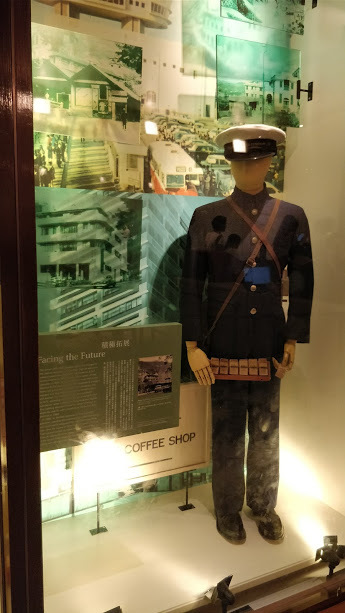 The Madame Tussauds Museum in Hong Kong with six thematic areas, and the attraction Scream, the first attraction of fear and permanent fright of this type in the city. Almost 70 percent of Hong Kong’s total area is undisturbed nature and mountains. Although the Peak Tram is not the only means of transport to the top of the hill, you may try it if you haven’t used it. It takes only a few minutes, and you can feel the steep mountain road, look around, and you can see the slope of the building. The sense of error is very interesting. In fact, this cable car should not be called a cable car. It is a small train going uphill. It takes an hour or two for an ordinary bus to go uphill, and it takes 15 minutes to get there. However, on weekends and holidays, many people will go to the queue for a long time. Well, it’s up to you to wait. The car is a bit steep uphill, but it’s safe. The scenery that sits on the left is beautiful.